Jazlowiecki & Jazlowiecki is currently accepting new lawsuits against Takeda Pharmaceutical Co. for the serious injuries and cancers being caused by Actos, a diabetes medicine. If you have had problems with Actos and have experienced effects such as bladder cancer other complications, do not hesitate to contact the Law Firm of Jazlowiecki & Jazlowiecki to learn about the ongoing lawsuit. 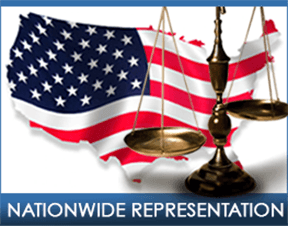 Our Office can be reached via Email or by phone at (860) 674-8000. For more information, please read the article below. Takeda Pharmaceutical Co. has offered to pay more than $2.2 billion to resolve claims of hiding its Actos diabetes medicine’s cancer risks in what would be one of the largest U.S. settlements of patient lawsuits targeting drugs or devices, three people familiar with the matter said. Officials at Asia’s largest drugmaker propose to settle more than 8,000 lawsuits in federal and state courts in the U.S., said the people, who asked not to be identified because they weren’t authorized to speak publicly about the offer. Such a deal would amount to a payment of about $275,000 for each case. Any settlement would be the first in the three-year litigation over the diabetes drug. 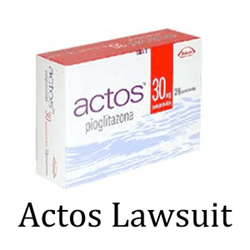 A federal jury in Louisiana last year ordered Takeda and Eli Lilly & Co. to pay a combined $9 billion in damages to a shopkeeper who blamed Actos for causing his bladder cancer. That award, the seventh-largest in U.S. history based on data compiled by Bloomberg, was later reduced by more than 99 percent to $36.8 million by a judge.